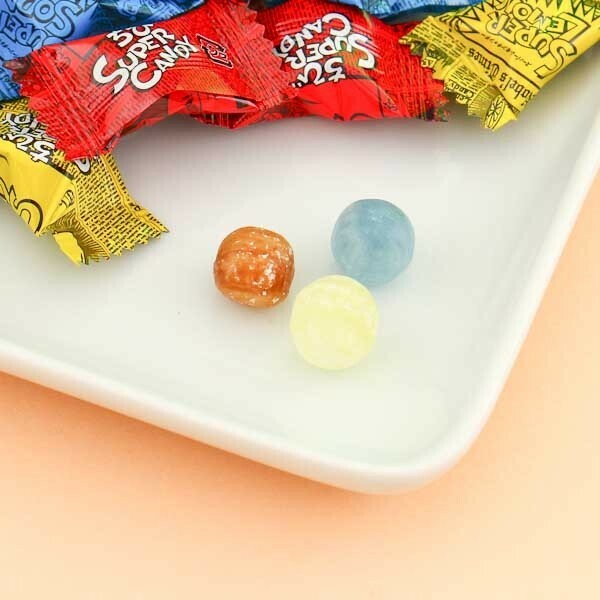 These hard candies from Nobel are a must have for all you candy lovers out there, they are super sour and delicious! 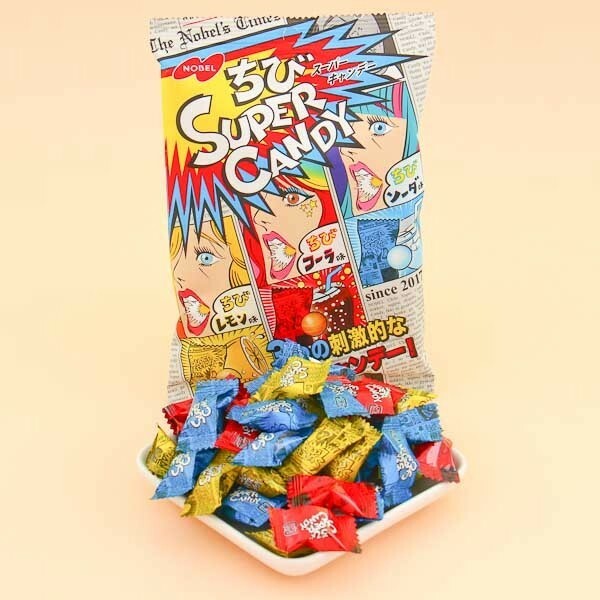 This package features 3 different popular flavors - cola, soda & lemon! Each candy has a super sour powder coating on the outside and is super sweet and fizzy on the inside!